Travel 50 miles south of Anchorage along one of the most scenic roads in the nation to stroll along the iceberg-choked lake left behind by the retreating Portage Glacier. See award-winning exhibits and the film "Voices from the Ice." Take an interpretive walk before hopping aboard the Ptarmigan for a one-hour cruise to the face of the glacier. Approximately 90 miles north of Anchorage, Matanuska Glacier State Recreation Site offers excellent views of the 27-mile-long Matanuska Glacier. The Edge Nature Trail leads through the forest to glacier viewing platforms. Several companies offer guided day hikes or climbs on Matanuska and other glaciers near Anchorage. Dog sled – in summer! Glaciers provide plenty of chances to explore Alaska&apos;s state sport and one of the oldest methods of transportation. Fly out to a kennel set up on a nearby glacier for a snowy, short-sleeved sledding adventure! Rust’s Flying Service and Alpine Air are among the companies with such a setup. Narrated day cruises depart several times daily from Whittier (60-miles south of Anchorage) and Seward (130 miles south). Watch calving glaciers, and spot a few other massive Alaska things. 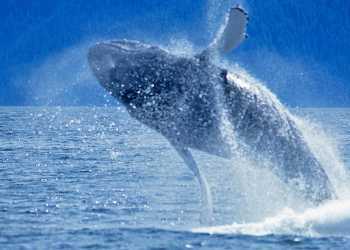 Several species of whales ply the waters, not to mention otters, sea lions, puffins and Dall porpoises. Kayaking amid icy chunks in Prince William Sound is only the beginning of paddling options. Resurrection Bay (Seward) offer outstanding sea kayaking as well. Rather stay on your feet? Many outfitters stock stand up paddleboards too. For a truly high-altitude glacier visit, book a flight in a helicopter or bush plane to tour a whole host of glaciers in a single trip. Operators offer year-round flightseeing tours from Anchorage, many of which include glacier landings or landings on lakes in sight of massive glaciers. The Glacier Discovery Train is the ticket to the Alaska Railroad whistle-stop at Spencer Glacier. Here, you can disembark for short hike with a U.S. Forest Service ranger, gear up with crampons and helmet for a glacier trek or hop on a boat for a gentle float among icebergs. Or you can stay on board the train and continue to Grandview Valley to enjoy the spectacular scenery through large picture windows. From decks perched at the summit of Alyeska Resort&apos;s aerial tram in Girdwood, spot seven named glaciers in the surrounding mountains. The Bore Tide Deli, Roundhouse Museum and Seven Glaciers restaurant each offer stunning views of the glaciers as well as the valley below.